This product is NIB, Factory Sealed, and Guaranteed Authentic. 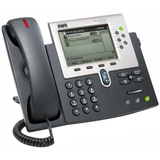 The Cisco Unified IP Phone 8941 is a new and innovative IP endpoint that delivers affordable, business-grade voice and video communication services to customers worldwide. 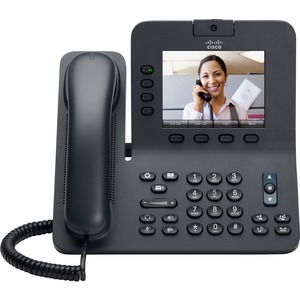 The Cisco Unified IP Phone 8941 integrates video communications into the Cisco Unified IP Phones 8900 Series with a built-in, high-quality video (VGA or 640 x 480 pixel) up to 30 frames per second, for both endcoding and decoding. The phone renders video on its high-resolution, 5-inch diagonal, fully backlit, VGA-quality display.